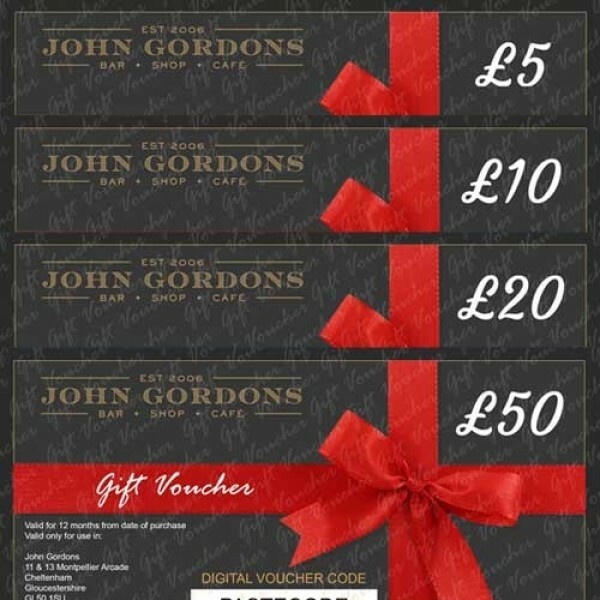 £5, £10, £20 and £50 Vouchers. Any combination. 4. If an intended purchase is for a higher amount than the face value of the voucher(s), the difference can be made up with a cash, debit or credit card payment. If it is less, then change can not be given but a credit note for the remaining balance will be issued in-store. 5. Vouchers cannot be used in conjunction with any special promotions, discount tokens, coupons or cards. 6. Vouchers cannot be sold to any third parties without our consent. If we do give our consent then such consent may be subject to any conditions which we impose. In any event you may not sell the Vouchers through the internet without our express written consent, which you must obtain before making any such sale. We reserve the right at all times to refuse to permit any sale of Vouchers by you to a third party.